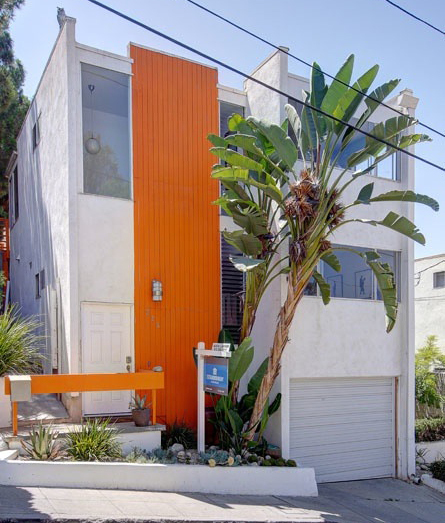 Modern 1960's home on a great cul de sac street. Copper plumbing. Newer electrical. Custom redwood fence and storage yard. Landscaping, lights and irrigation. New patio. Beautiful flow. Great outdoor space. Views of downtown. Close to freeways. Quiet, chic and charming light-filled rooms. Exposed beams. Updated kitchen and baths by Eric Lamers. This 3 bedroom, 1 1/2 bathroom house is designer owned. Come make this Architectural gem yours.